This review could have actually been out 2 months earlier, and perhaps could have helped this restaurant get some good publicity. But it took us 4 visits to write this, of which 3 were unfruitful. Never have I given any restaurant 4 chances. The most for my personal limit, was 3 times. Though even twice is uncommon. 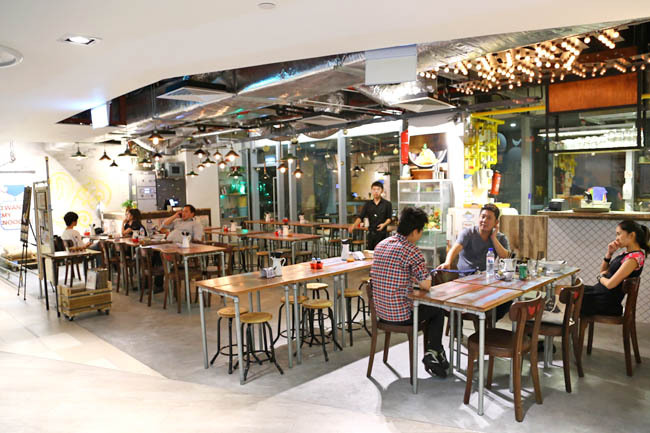 There are just too many choices in Singapore to give a restaurant a second chance. But there was something within me that urged me to try I Want My Noodle. 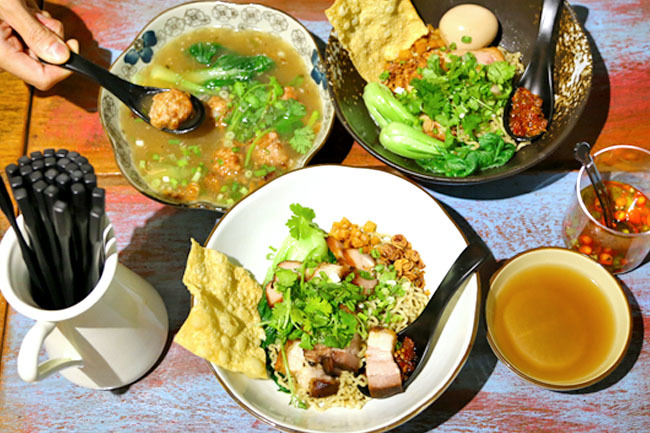 I Want My Noodle is located at the revamped extension of Shaw Centre, next to Xi Yan, specialising in home-made egg noodles with a twist. First visit, opening day. Noodles went “mee-sing” because after a 45 minute wait, it was still not there. Other orders were mixed up, even though there were only two tables of customers. Second visit. I realised there was NO INFORMATION on opening hours on their facebook or website. Texted (presumably the boss) who said they were ready to serve by 11am. Nope, I went down and they were still not ready by 11:30am. Boss apologized, “We were actually ready by 10:30am. I believe my manager has forgotten to turn on the lights.” There, I was, standing outside their still un-ready shop, feeling stupid about wasting my precious Sunday waiting. Third visit. Went at 9pm because closing hour stated 10pm. No last order timings stated. The restaurant already closed. 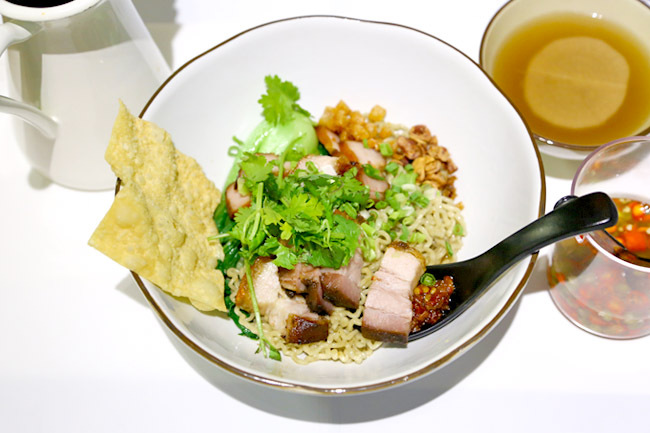 Their specialities are the Lor Bar Noodle ($12.90) topped with braised pork belly made with the owners grandma secret recipe, and Noodle with crunchy Double Roast ($12.50). 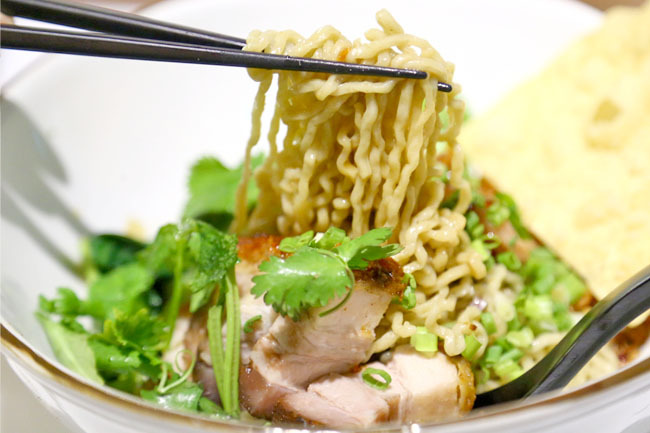 The noodles are made fresh in-house every day, without using any additional preservatives and colouring. It reminded me of a thicker version of Indomie (and I was not the only one who thought the same way). 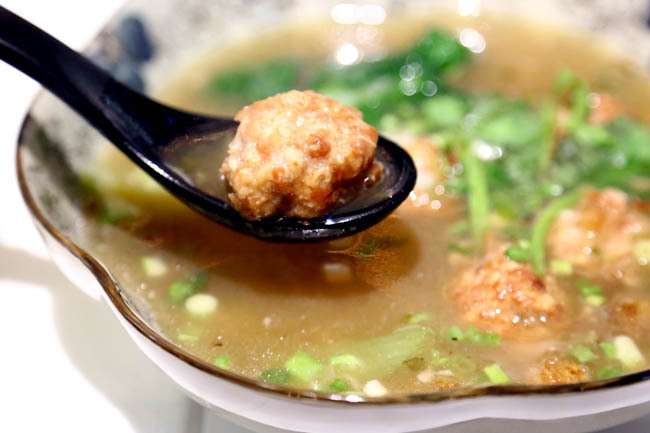 The Homemade Meatball Soup ($7.90) indeed felt ‘homemade’, as if a loving ah-ma cooked that for her grandchildren. The soup base tasted somewhat like Peranakan Bakwan Kepiting, except the meatballs could have a firmer outer layer. 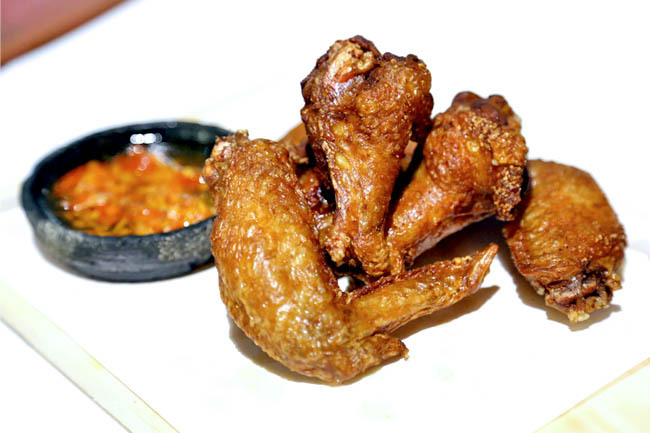 The Flourless Fried Chicken Wings ($7.90) served with homemade fresh sambal – I would be bold enough to say, better than IKEA’s. 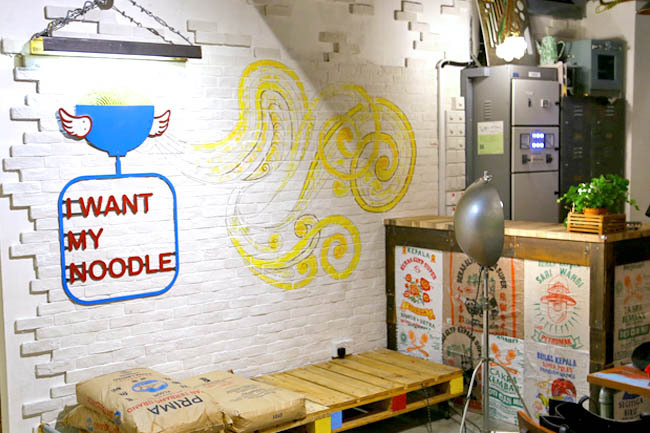 You see, there are so many promising elements about I Want My Noodles, that I feel angry. Angry that they could have made use of earlier opportunities to sort out their operations and marketing plans. No point designing a fanciful website which still does not state operating hours – isn’t that one of the basics? With that said, I hope they do well. I really liked their noodles. Visited the place in a quiet Saturday for lunch and must say that I'm not impressed. Sold out on Douvle Roasts, and the noodles themselves weren't particularly spectacular-esp considering the price point. 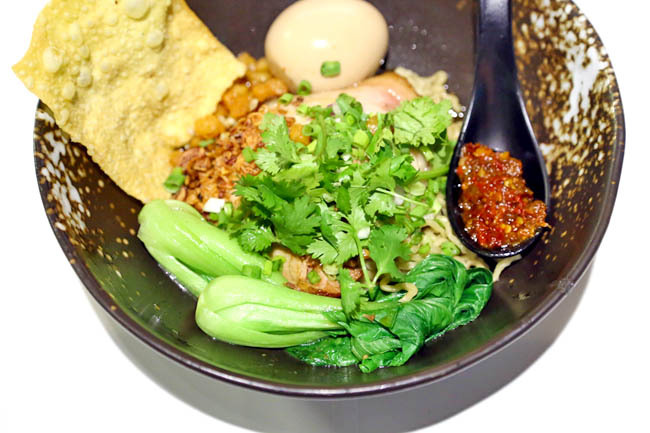 Tai Hwa BCM at Crawford lane will set you back $8 max and is in many different leagues above this. I’m sold on the better than Ikea’s chicken wings!